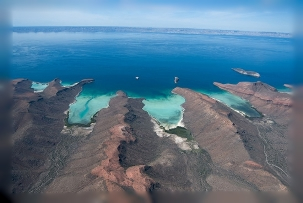 Come and see all the beauty of the Espiritu Santo island! 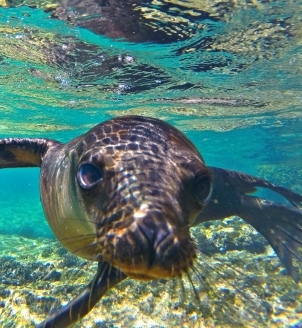 Swim with the sea lions and snorkel in the beautiful clear waters of the sea of cortes, that Jacques Costeau once described as the "aquarium of the world". Reaching the island takes us around 45 minutes. 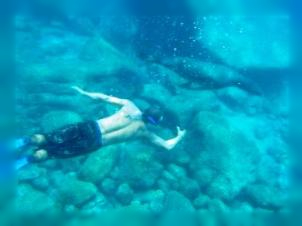 Once We get there our activities are snorkeling with the playful sea lions, time to enjoy at one of the most beautiful beaches of the area and sight seeing. Our lunch is ceviche fish (if it is great it must have been made by Jose Luis, if it is only good, it was made by the captains!). beach clothes, towel and sandals. Take advantage of the sunny and windless days!